Ralph Foley | Attorney Profile - Foley Peden & Wisco, P.A. Ralph Foley is a lifetime resident of Martinsville. 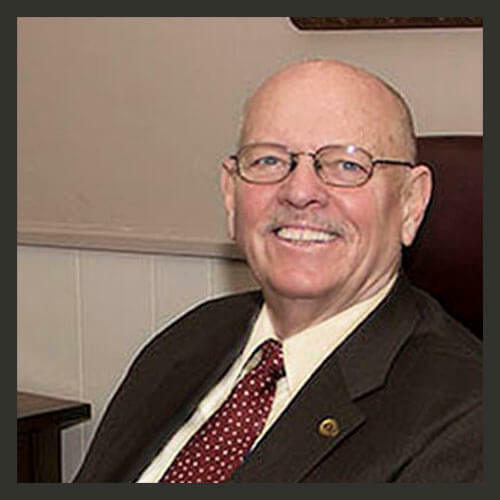 He has served the community as a partner at Foley, Foley & Peden, P.A., since 1965. Additionally, Ralph served 20 years representing District 47 in the Indiana House of Representatives. As a member of the Indiana General Assembly, Ralph chaired both the Rules and Legislative Procedure Committee and the Judiciary Committee. He was a key decision-maker on probate reform, criminal law legislation, and tax reform. This includes advocating to repeal Indiana’s inventory and inheritance taxes. Professionally, Ralph has served as an officer on many boards. This service has included First Bank Corp, Shelby Street Realty Corp, the Indiana State Bar Association, and the Morgan County Bar Association. He has received numerous honors and awards. Some of these honors include a Sagamore of the Wabash, Indiana Chamber of Commerce “Champion of Small Business,” and Honorary Kentucky Colonel. Ralph’s ties to the Morgan County community run deep. He has served the community as a member of the Martinsville Chamber of Commerce and First United Methodist Church. He is a past president of Kiwanis. He has been involved in Little League, PTO, and YMCA. Ralph and his wife, Ann, have three married children and seven grandchildren.